Ethan Hsien Aun Wong is a second year student from the School of Science. He is currently undergoing a 3-month internship program at Petronas Chemicals Group Berhad and working in the Health, Safety and Environment Department. Ethan shares his takeaway lessons on leadership from his term in student council. This time last year, I braced myself for what I knew was going to be long year ahead. 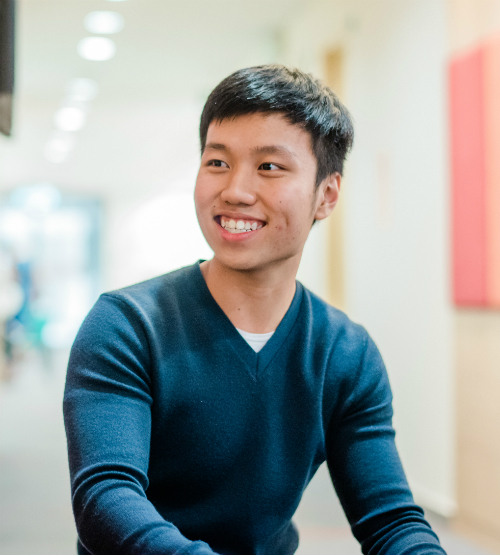 My partner and I had contested for a position in student council, with the assigned portfolio of ensuring the entire community of Science students- amounting to 700 individuals, had their voices heard and received an improved educational experience here in Monash in terms of welfare and opportunities. As soon as we wrapped up our final event of the year, I can’t help but think what a fruitful term it has been for us. Proud to say we have achieved whatever we promised in our manifesto, and topped that with a list of new initiatives that we hope our successors could emulate in their term. Leading a team is more than just instructing and delegating. I strongly believe it is about instilling a sense of purpose in each and every member in the team. Every member is crucial to the success of the organisation, a good leader would cultivate the sense of passion and purpose in his team, so they would share common goals and set out to achieve them together. Taking the initiative. Nobody is ever too busy for anything, it all boils down to your priorities. Never forgetting that any position in any company one holds is due to a couple of factors, but I mainly believe for it to be ‘trust’. Likewise, the students have voted and entrusted us with this responsibility, somewhere out there someone would be snapping up a chance to prove they can do better than you – hence, take the initiative to give a 100% to whatever you signed up for and complete it with no regrets. Being understanding – two-way communication is also a crucial prerequisite to leading a happy and efficient organisation. As mentioned in point (1), leaders often take for granted the vital aspect of communication when leading a team. It’s more than just delegating and instructing, its about taking the time to understand every individual in the team. Learn of their expectations, shortcomings, personal lives and be able to empathise. It’s no game of status to sit on that managerial chair and wait for them to report to you, its about meeting up with them, hearing out the bits and concerns about work, about their personal lives and then formulating a rationalised action plan to overcome that obstacle. My favourite author, Simon Sinek would say: "It’s about hearing them out, making them feel safe and secure and this would in turn inspire them, raise morale and boost workplace productivity". Plan ahead but be open to changes. Failing to plan is planning to fail. We planned ahead for most of our events but soon learned the tough lesson that things would never turn out the way you expected it to, unless of course you envisioned almost every single variation of the story and found an answer to them- but essentially, it’s about being flexible and open to change with the occurrence of unforeseen circumstances. To me, joining the student council of Monash University Malaysia was truly an experience money can't buy. I've learned so much and met so many new faces over the year, I wouldn't trade it for anything else. To check out Ethan's LinkedIn profile, click here.